Beaches In Bratislava: A Complete Guide For A Unique Holiday! Bratislava is the capital of Slovakia and is enriched with so many historical elements all around. Other than history, the beaches in Bratislava are the most popular ones and are a famous destination for the locals and tourists as well. The city of Bratislava is filled with architectural wonders, everywhere you will look, you will find statues, bridges and beautiful cafes and you won’t be able to turn away from the delicious food in there. 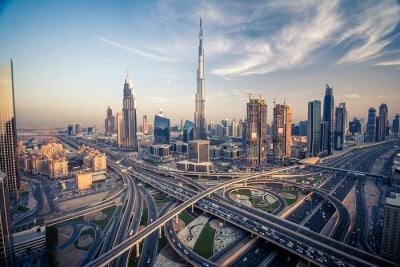 Other than spending time at the two major beaches of the capital city you can visit the rowdy nightclubs and have a really fun time there. On the other hand, the beaches will give you the best time here. Take a look at the 2 best beaches Bratislava offers for a refreshing and rejuvenating holiday! This is one of the best and popular beach in Bratislava and the best summer getaway of the capital city as well. 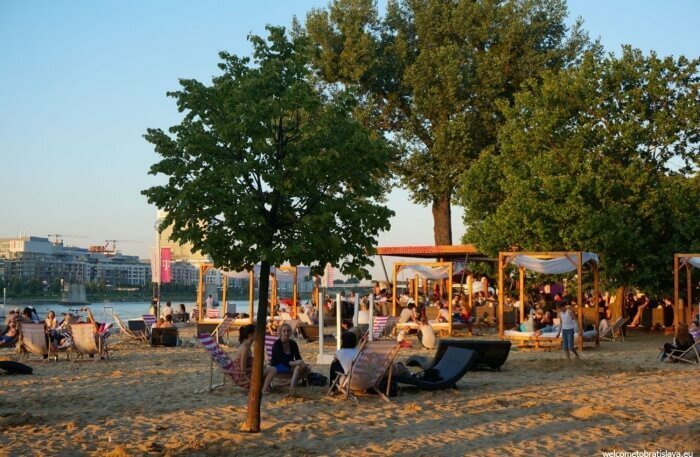 Magio Beach in Bratislava is unique and filled with all kinds of leisure for the tourists, so that you won’t find any discomfort in here and can have a peaceful time. Magio is quieter in summer and you will have a complication to find a space if you visit in a very hot day. The most fascinating thing here is the big beds laid out for the visitors, and there's nothing can be more peaceful to relax on those beds with a glass of refreshment in hand. You can enjoy the serene sunset and enjoy the music while lounging on the bed and enjoy a cool beer from the nearby bar as well. If you step a few steps further from the beach you will find a volleyball field, and mostly locals enjoy the game there and if you want you can join them too! Also, if you have come here with your kids, you can have a children’s park on the back side of the beach. After you are done relaxing at the beach you can have a walk alongside the stony road by the river and from here you will get to see the distant ships, the UFO bridge, St. Martin’s Cathedral and the castle too. Watching the ships at the time of sunset will always be in your memory and this area is well-equipped with WIfI, and a fruit market, so you can relax in the nearby benches as well. The beach is open from 9 am 10 pm and the bars and restaurants stay open till 12 am. This is a lake and the beach at the lakeside is a mesmerizing one. 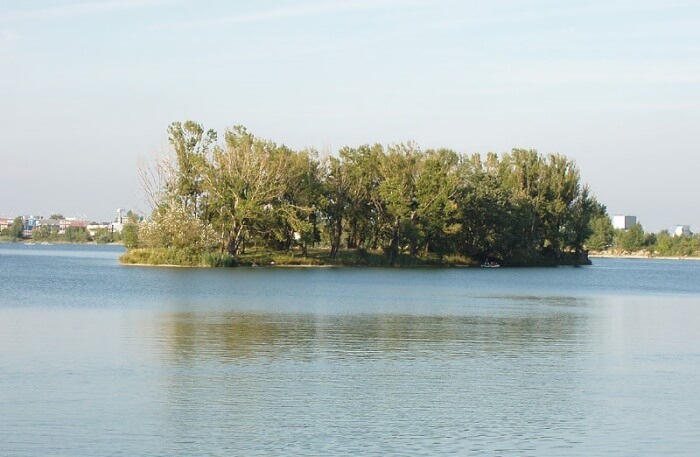 This lake beach is one of the second beaches near Bratislava and is prettier than Magio because you can have all the fun activities here, although you will not get beds on the beach and you have to bring your own arrangements, it’s still the best place in Bratislava. The lake itself is, 30m deep and there is a small island in the middle of the lake and you can have a swim or a water bicycle to reach the tiny place. The entrance fee to this place is for adults, 2€, for kids, 1.50€ and for parking, 2€. Other than this, there are two non-paid entry areas, the first one is for wakeboarding and the second one is a nudist beach and not appropriate for a family. 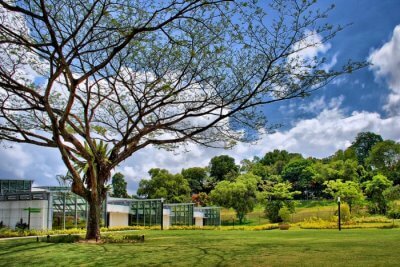 You can have all types of fun activities here like, tennis, wakeboarding, table tennis, mini-golf, football beach volleyball, and so many others and it consists of a children playground as well. If you are looking for accommodation nearby, then there are a few of them, or you can have a tent or caravan too. 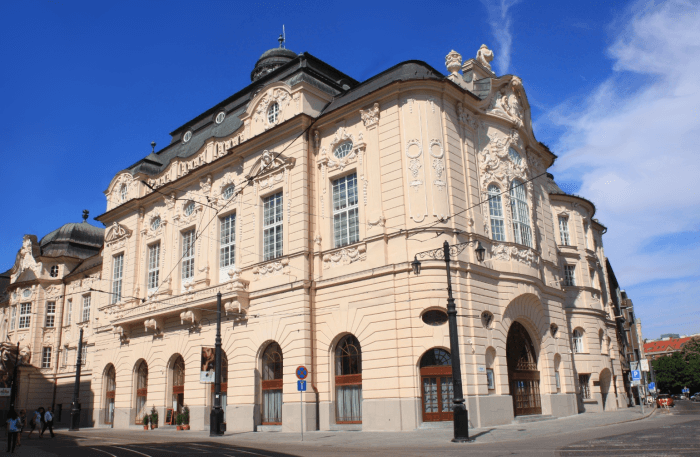 Thus, here you got the best two beaches of Bratislava and you will find the above-mentioned details very useful whenever you visit the capital of Slovakia. If you love water sports or want to spend some time basking under the sun or shadow then these Bratislava beaches are the perfect one for you. 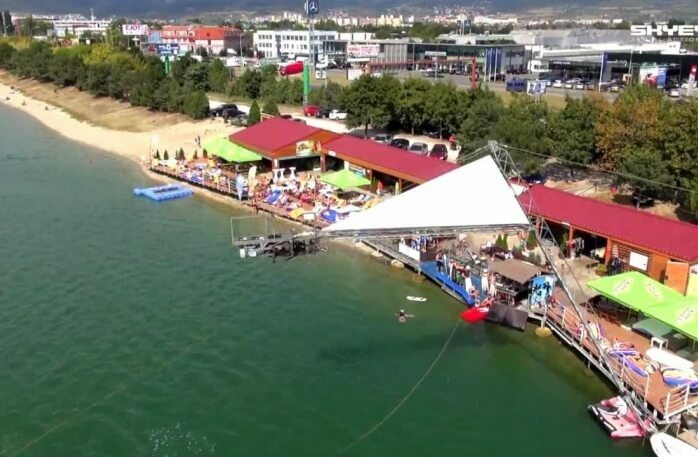 You will get all the leisure in the Magio beach and all the water activities to fun games at the Zlaté piesky beach, overall your entire tour will be the best memorable one. You can get to Magio beach from the old town, and you need to take a walk across the new bridge, and it’s just 5 to 10 minutes walk and you will find the beach at your left side. Once you are near the place you will find the loungers and many flags, and you have reached the beach. 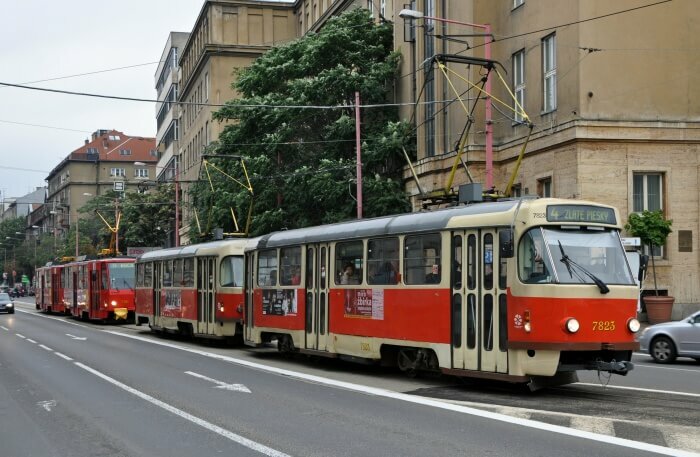 To reach Bratislava, you can have a tram to Zlaté piesky, and the tram number will be 4, which departs from the center of the main city. You can also avail buses numbered, 53, 56, and 65, all of these make a stop at the beach. You can get a car from Bratislava and it will take you near the beach at the palace shopping center parking area. 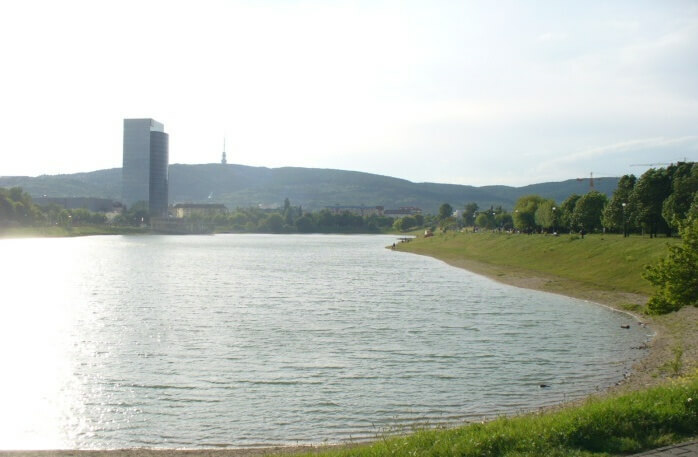 Take a look at some of the places to visit nearby both these beaches to add more to your Bratislava holiday! 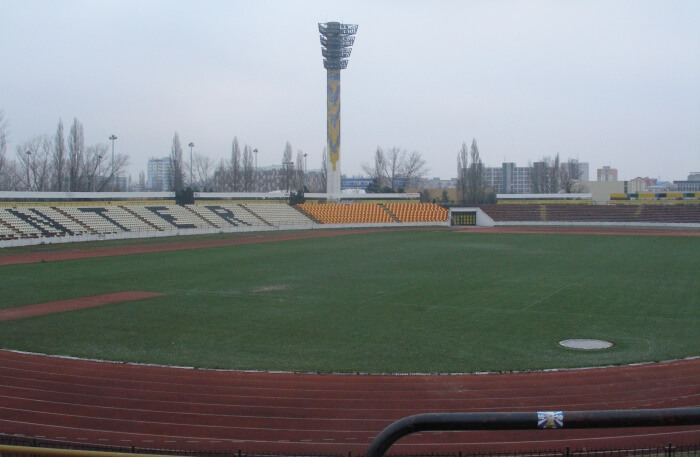 Visit this football stadium near the beach and if you are lucky you can watch a game there too. Get the best chicken burger and beer from the nearby stand and enjoy the day. 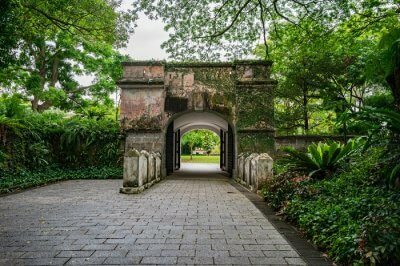 This is a very tranquil place near the center of the city and you can drive to this place and bask in the evening sun with some delicious food from the nearby restaurants. 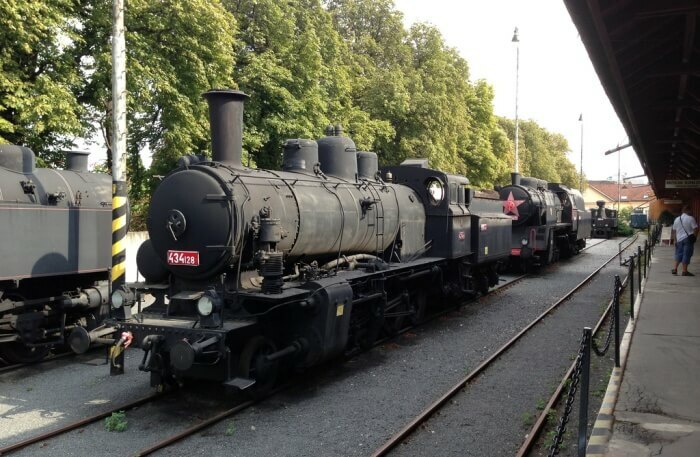 If you are catching a train from this station, and you have an hour in hand, you can always visit this museum. You will find some old cars and other things here. 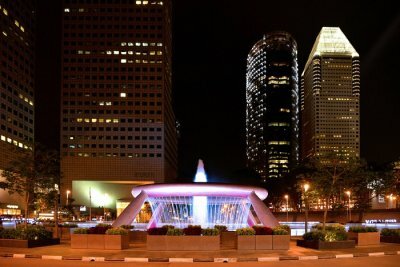 This is another place for various water sports, and your boring afternoon will always be well-spent in here. 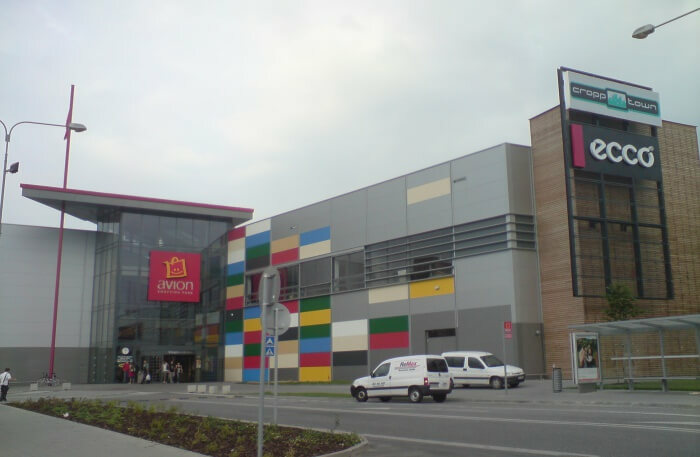 Just 2.3 km away from the Zlaté piesky you will find your best shopping destination in here. This place also got an IKEA! 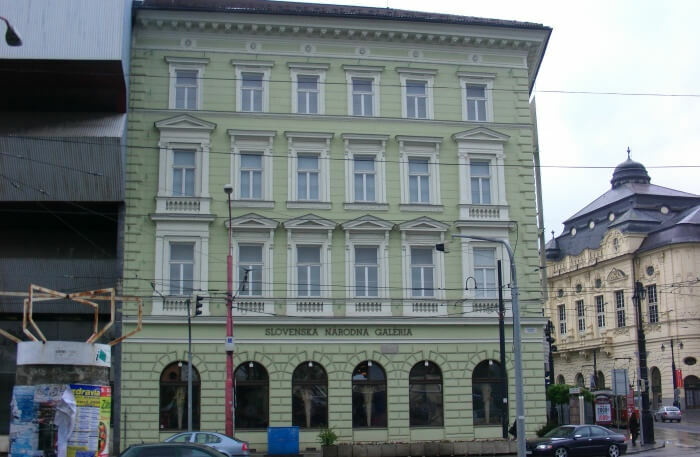 This is the Slovakian orchestra house and this is the staple of Bratislava architectural wonder as well. This building was built in 1773 and the place looks beautiful at the night time. If you are lucky you can get a ticket for a show in this place and the ticket is €15. This place is located near the Magio beach and represents the Slovak gothic culture, twentieth-century arts and baroque too. This place is famous for the display of so many European artifacts as well. 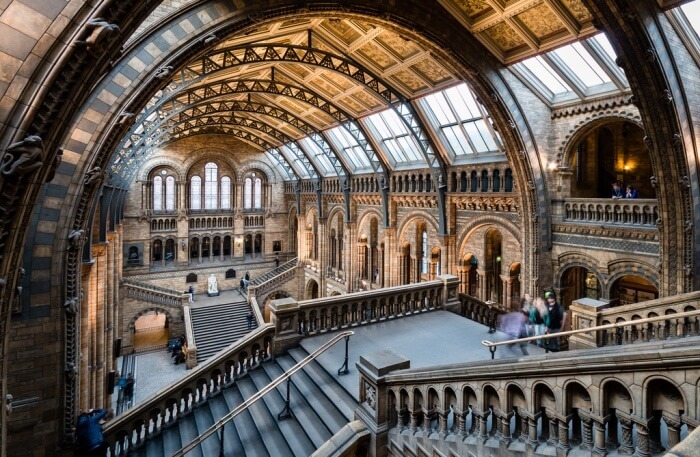 This is a place for the whole family, as it is the natural history museum, this place has some wonder packed inside it, and kids to adult all will love to have a stroll in the museum. The entry fee is only €4 and you will get to see so many pictures packed from the first floor to the 3rd. 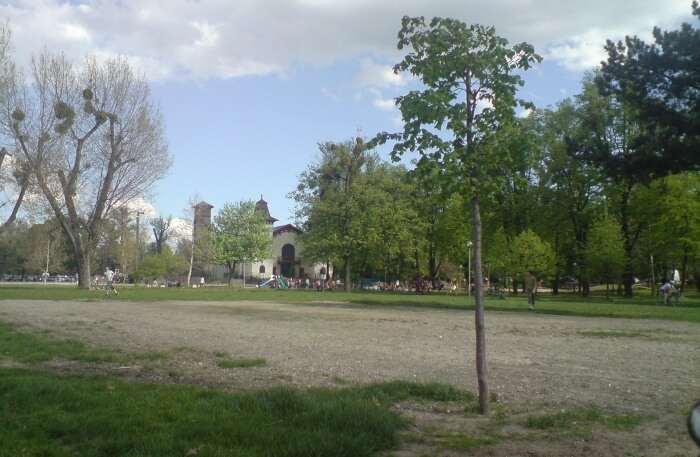 This place is at the side of the river Danube and from here you will get to see the Apollo Bridge. 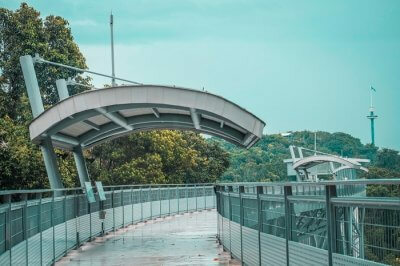 A nice walk is recommended in this place and doesn’t forget to visit the restaurants on the side of the walk, as they offer the best delicious food. 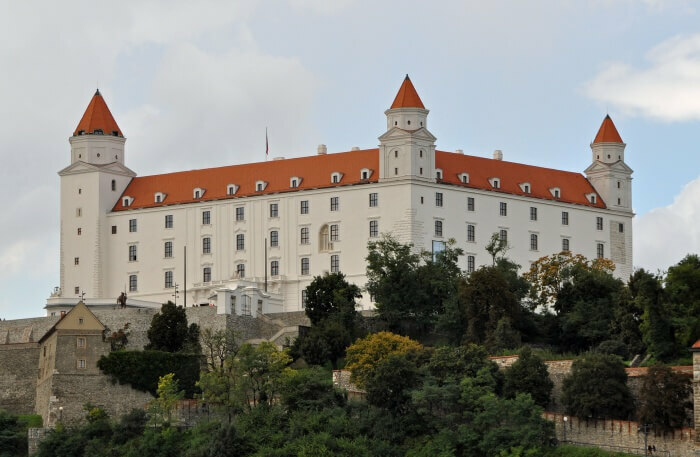 The castle can be seen from the bank of the Danube River and this place is an exquisite one for tourists. You can hire a car or take a small walk to this place and you will definitely find the castle beautiful. 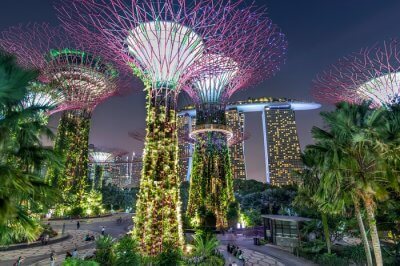 The garden in this place is very pretty and you would want to spend some time in there only. Even though there are two beaches in Bratislava, the experience is going to be fun. And you have the list of nearby places to visit also, so, don’t think too much and plan a trip to Europe, head to Bratislava and indulge in the fun!